The go-to place for Park and Holiday Home Services in the UK. Easy to navigate, it is packed with helpful contact details for everything from decking companies to specialist solicitors and even part exchange experts. Our Park Home and Holiday Home Services directory can be used at every stage of a purchaser’s journey into park and holiday home ownership – from those initial steps towards achieving a new lifestyle to ongoing, essential services. The directory is ideal for park operators and owners. No need to look through the internet for specialist services – we have collated an expert panel of services for you to use. If you run a service that is geared towards park and holiday homes, claim your listing today – it is FREE. Send your listing details to the Sell My Group via info@sellmygroup.co.uk and reach customers who are really interested in what you do. 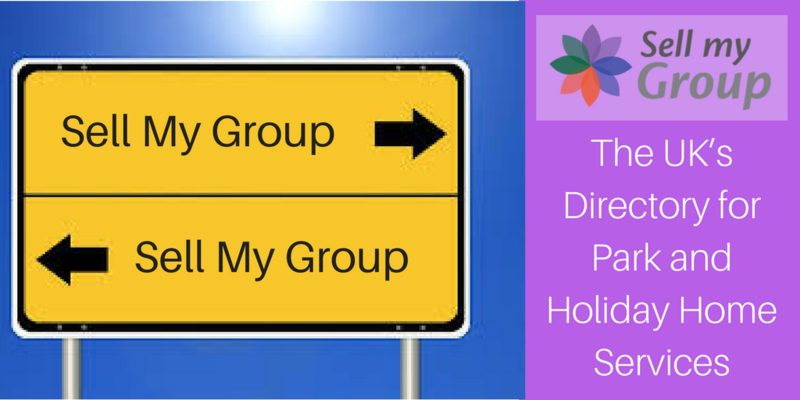 The Sell My Group directory is used by park and holiday home owners, those thinking of investing in a park or holiday home and, of course, park operators and owners. Easy-to-use, services are displayed under relevant headings. It allows people to search for Park Home Grants, an accountant, a surveyor, bespoke garages, refurbishment specialists, finance and trade bodies, consumer shows, hot tubs, personal alarm systems and much, much more. DCB Park Home Surveyors are listed in the Sell My Group directory. They offer specialist services to those buying park and holiday homes, as well as site owners and institutions. Quite often, DCB is a buyer’s first port of call, because it provides Condition and Pre-Purchase Reports, delivering comprehensive overviews of a home’s underside, chassis, base, interior, exterior and roof – all expertly detailed in extensive written reports – as well as legislation compliance checks. DCB’s Pre-Purchase Report, usually at least 40 pages long, also includes information about site and ground conditions, environmental issues, licenses and agreements and compliance with Mobile Home legislation. DCB further undertakes valuation reports and annual safeguard reports. Each service is offered at a pre-set price, so you know exactly what you will be spending. Turbervilles Solicitors is a specialist law firm that acts as national legal advisor to the National Caravan Council and many of the UK’s leading residential and holiday park owners. It provides expert advice on all aspects of this very specialised area of law. Because park and holiday home legislation is very specific, anybody thinking of investing in a park or holiday home is advised to use a solicitor that has in-depth knowledge of the sector. Turbervilles provides up-to-date information on Mobile Home legislation and ensure its clients do not fall foul of ever-changing laws. With clear headings, the Sell My Group directory of specialist park and holiday home services couldn’t be easier to use. People accessing the directory, find the service they need and just check out the listings below it. With just one click, they are able to find out everything they need to know about a company listed, including, in many cases, clear pricing guidance. The directory helps people discover essential as well as luxury services that have been tailored to meet the specific needs of the park and holiday home sector. So, whether people are just exploring the benefits of park or holiday home ownership or are looking to upgrade their home, there is bound to be a service to help. Sell My Group connects the park and holiday home sector to specialist service providers. Whether someone is looking to add decking to their home, buy a hot tub or introduce peace of mind with a personal alarm service, the Sell My Group directory can help. Provide a park or holiday home service? Not listed? What are you waiting for? Get your park or holiday home service listed for FREE and reach new customers.